We have all heard stories of chickens that are big snuggle bunnies or chickens that will jump in your lap and sleep by your side at night. You may have wondered if these stories were real or make-believe because your own chickens run away from you squawking and flying up into trees. I am often asked by people how you can encourage chickens to be more loving towards you. It all comes down to time spent with them and food. The breed of chicken does make a difference as well. Some breeds are just more domesticated than others. I have found Barred Rocks to be the most loving breed of all. Mine loved to sit in my lap. Breeds that are more flighty, and thus less tolerant of people are often breeds with large crests such as polish or silkies. The crests make it difficult for them to see clearly. They don’t know if that movement is you or a predator coming after them. Trimming their crests so that they can see will change how they react to you. Using your voice to announce your arrival can help as well. I have a distinct call that I use that the birds recognize as “food is on the way.” They will come running when they hear that call. Learning to associate you with food and treats goes a long way towards bonding with them. Cracked corn is my flock’s favorite treat. I use it as a training tool to teach them how to come in at night or if I need them to be somewhere else while I clean out their coop. Another special treat is called Grubblies. These are oven dried black soldier fly grubs. Yum. But your birds will love them and love you for giving them some. Live meal worms or freeze dried meal worms will also bring your chickens running and cackling. One of the best things that you can do is to simply spend time with your flock. Get a chaise lawn chair and place it in the coop or run or even where they free range. Make sure that it is low to the ground. You don’t want to be towering over them. Lie down and read a book or look at your phone. Maybe watch a movie. Just spend time next to them without trying to hold or grab them. Think about Fern in the book “Charlotte’s Web.” She would sit quietly for hours next to the animals pen until the animals learned to trust her presence. That book is filled with wisdom. We can learn a lot about animals from E. B. White. Place the treat bag near you or even scatter treats on you or around your chair. Appear uninterested in them and they will start bothering you for attention. Let them roost on your chair. Repeat this every day and be consistent. You will be rewarded. Do not jump, run or move fast around your birds. Slow movements will build trust. Quick movements will scare them. Do not hold your chicken too tightly or they will start to panic. Also, be careful with a chicken around your face. Roosters have been known to attack eyes when held close to the human face. Some roosters are cuddlers and others are man fighters. If you are breeding, make sure that you are not using aggressive roosters. Temperament can be genetically handed down. There is no sense in breeding aggression into your flock. Baby chicks pose a different problem. They are instinctively afraid of everything. We appear to be a huge figure flying down from above, not unlike a hawk would swoop. They will see you as a predator until you can build their trust. Keep yourself at their level. Baby chicks do not imprint on a single person such as ducks and geese will. There is no window of opportunity when it comes to bonding with your chicken. A chicken can grow to love you no matter what age you acquire it. You do not need to purchase a very young chick in order to have it become attached to you. You can start bonding with a bird at any age. Start by getting them to eat treats out of your hand. First you will need to show them what treats are. Egg yolk from a hard boiled egg is a great treat for a little chick. Chop the yolk up a little into pieces they can eat. When they are ready for other treats ,make sure that they have chick grit to help their crop grind up the treats. Place the treats on the ground first, then gradually move to your hand. Remember that most of their nutrition should come from their chick starter and not their treats. Don’t go overboard with tidbits that have poor nutritional value. Gently handling the chicks often will help them to become tame. Be very aware of how little children are handling the birds. Young chicks can jump from little hands and injure themselves or can be squeezed too tightly. Make sure that they also are getting a chance to rest and warm back up under the heat source. Chickens can be great therapy animals. There is a program called PAWS at the University of Minnesota. PAWS stands for Pet Away The Stress. They use silkie chickens and other animals that have been trained and can help students that are feeling the stress of being away from home and who just need some extra love. What better way to get that love than from your favorite chicken. For tips and tricks for raising outstanding silkies check out our Chicken Learning Center at VJPPoultry.com . 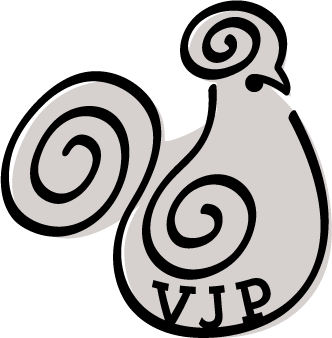 VJP Poultry is an NPIP and state inspected hatchery located 30 miles north of St. Paul. We hatch out silkies all year long so we always have stock available. Like us on Facebook to get weekly updates on what we currently have for sale. *Some of the links on this site may contain references to products from our affiliate programs. We may receive compensation when you click on links or buy those products.